Scientists at National Science Foundation have succeeded captured the picture of super mysterious BLACK HOLE finally. According to the researcher they captured the super massive BLACK HOLE and it’s shadow by the Event Horizon Telescope. Photo was captured at the center of the massive galaxy called Messier 87 or M87. Due to its gravity BLACK HOLE draws in everything around it. It looks dark around bright galaxy, that’s why it is called black hole. Scientists believed that it may be the largest view able BLACK HOLE from earth. 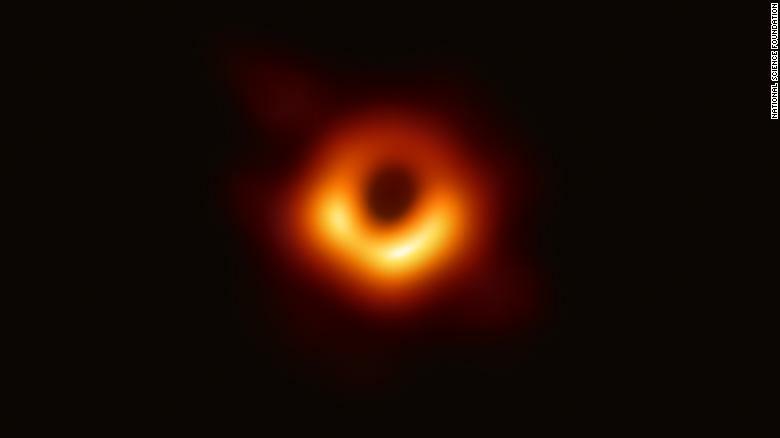 Sheperd Doeleman, director of the Event Horizon Telescope Collaboration said that “we have seen what we thought was unseeable, we have seen and taken a picture of a black hole”. In the picture it looks like bottom side is more bright than the upper side.